Start off your visit on the 10th (Wed): get up close to creatures of the deep with a dolphin and whale watching tour, then contemplate in the serene atmosphere at St. Mary's Cathedral, and then admire the masterpieces at Art Gallery of New South Wales. Here are some ideas for day two: look for all kinds of wild species at North Head Sanctuary and then identify plant and animal life at Featherdale Wildlife Park. To see maps, other places to visit, traveler tips, and tourist information, use the Sydney trip itinerary planner . London, UK to Sydney is an approximately 25-hour flight. You can also do a combination of flight and train; or do a combination of flight and bus. The time zone difference moving from Greenwich Mean Time to Australian Eastern Standard Time (New South Wales) is 10 hours. In June, plan for daily highs up to 21°C, and evening lows to 11°C. Cap off your sightseeing on the 11th (Thu) early enough to travel to Port Campbell. Port Campbell is a coastal town in Victoria, Australia. Get in touch with nature at Mait's Rest and London Bridge. 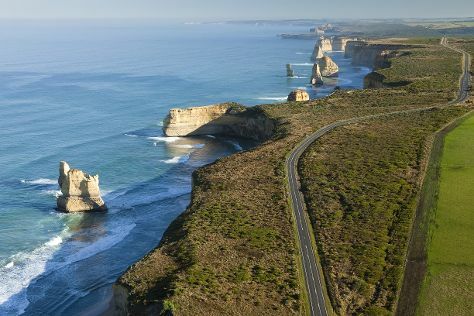 You'll explore the less-touristy side of things at Loch Ard Gorge and Great Ocean Walk. Spend the 12th (Fri) exploring nature at Port Campbell National Park. There's still lots to do: don't miss a visit to Gibsons Steps and explore the striking landscape at The Twelve Apostles. To see where to stay, more things to do, reviews, and tourist information, go to the Port Campbell day trip planner. Do a combination of flight, train, and bus from Sydney to Port Campbell in 10.5 hours. Alternatively, you can do a combination of flight and bus; or drive. Finish up your sightseeing early on the 14th (Sun) so you can travel to Hamilton Island. Get in touch with nature at Catseye Beach and Whitsunday Islands National Park. 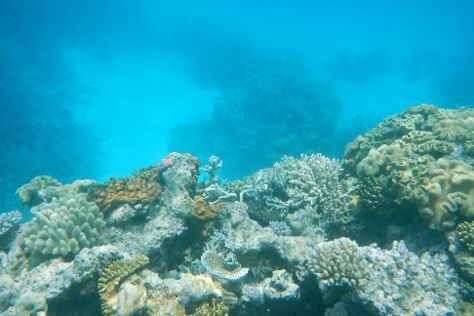 Explore hidden gems such as Scuba & Snorkeling and Hamilton Island Marina. There's still lots to do: tee off at Hamilton Island Golf Club and get outside with Jetryder. To find traveler tips, reviews, where to stay, and other tourist information, you can read our Hamilton Island online route planner . You can do a combination of bus, train, and flight from Port Campbell to Hamilton Island in 10.5 hours. June in Hamilton Island sees daily highs of 26°C and lows of 22°C at night. Wrap up your sightseeing on the 17th (Wed) early enough to ride a ferry to Airlie Beach. Eschew the tourist crowds and head to Horseshoe Bay and Grays Bay. Take a break from the city and head to Kayaking & Canoeing and Whitehaven Beach. Change things up with a short trip to Mother Beddock Rock in Bowen (about 1h 20 min away). There's lots more to do: soothe aching muscles at some of the top local wellness centers, zoom along the surf with a waterskiing or jet-skiing adventure, take in the exciting artwork at Above & Below Photography, and tour the pleasant surroundings at Airlie Beach Lagoon. For more things to do, reviews, ratings, and other tourist information, use the Airlie Beach trip itinerary maker site . Traveling by ferry from Hamilton Island to Airlie Beach takes an hour. June in Airlie Beach sees daily highs of 26°C and lows of 21°C at night. Finish your sightseeing early on the 20th (Sat) to allow enough time to take a bus to Townsville. Kick off your visit on the 21st (Sun): view the masterpieces at The Drill Hall Studio, then brush up on your military savvy at Army Museum North Queensland, then enjoy the sand and surf at The Strand, and finally take in the pleasant sights at Castle Hill. Get ready for a full day of sightseeing on the 22nd (Mon): look for all kinds of wild species at Billabong Sanctuary, step off the mainland to explore Museum of Tropical Queensland, and then pause for some serene contemplation at St James Cathedral. 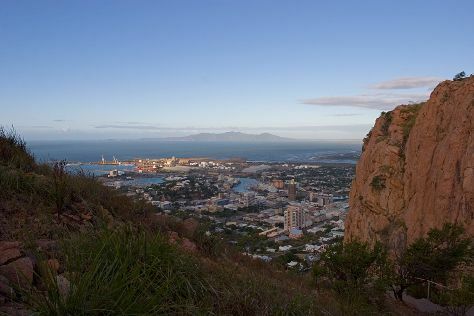 To see more things to do, ratings, reviews, and tourist information, go to the Townsville itinerary planner . You can take a bus from Airlie Beach to Townsville in 4 hours. Alternatively, you can drive; or do a combination of bus and train. Expect somewhat warmer weather when traveling from Airlie Beach in June: highs in Townsville hover around 30°C, while lows dip to 18°C. Finish your sightseeing early on the 22nd (Mon) so you can travel to Cooktown. Cooktown is a small town and locality in the Shire of Cook, Queensland, Australia. Start off your visit on the 23rd (Tue): get engrossed in the history at James Cook Museum, stroll the grounds of Cooktown War Memorial, then contemplate the long history of Cooktown History Centre, then enjoy the sea views from Grassy Hill, and finally stroll through Finch Bay. Keep things going the next day: identify plant and animal life at Great Northern Tours and then cast your line with a fishing tour. To find maps, other places to visit, photos, and tourist information, you can read our Cooktown trip itinerary planning site . Explore your travel options from Townsville to Cooktown with the Route module. Finish your sightseeing early on the 24th (Wed) so you can travel to Port Douglas. Start off your visit on the 25th (Thu): enjoy the sand and surf at Palm Cove Beach, learn about wildlife with up-close encounters at Wildlife Habitat Port Douglas, then soothe aching muscles at some of the top local wellness centers, and finally look for gifts at With Sugar. Here are some ideas for day two: learn about winemaking at Shannonvale Tropical Fruit Winery and then explore the gorgeous colors at Agincourt Reef. To see photos, maps, reviews, and other tourist information, you can read our Port Douglas online travel route builder . Drive from Cooktown to Port Douglas in 3.5 hours. In June, daily temperatures in Port Douglas can reach 30°C, while at night they dip to 21°C. Finish up your sightseeing early on the 26th (Fri) so you can travel back home.